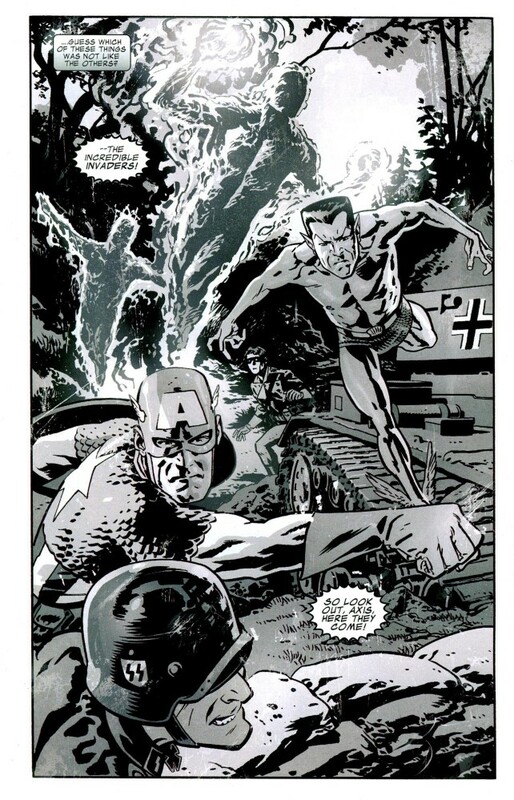 I’m a sucker for Marvel World War II material and I love Chris Samnee’s work so picking up Captain America & Bucky: The Life Story Of Bucky Barnes was a given. Think you know the story of Cap and Bucky’s origins? Well, think again. 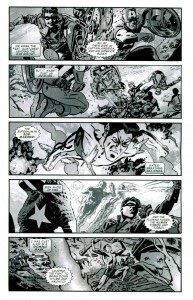 The secret story of the early days of Captain America is revealed here, told from Bucky Barnes’ point of view. 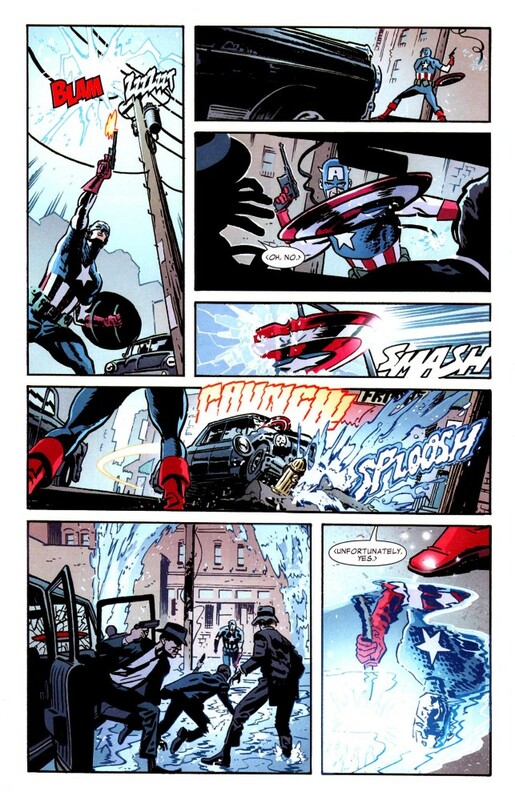 What was Cap and Bucky’s first mission together? What was the tragedy that happened on it that changed everything about who Bucky was? 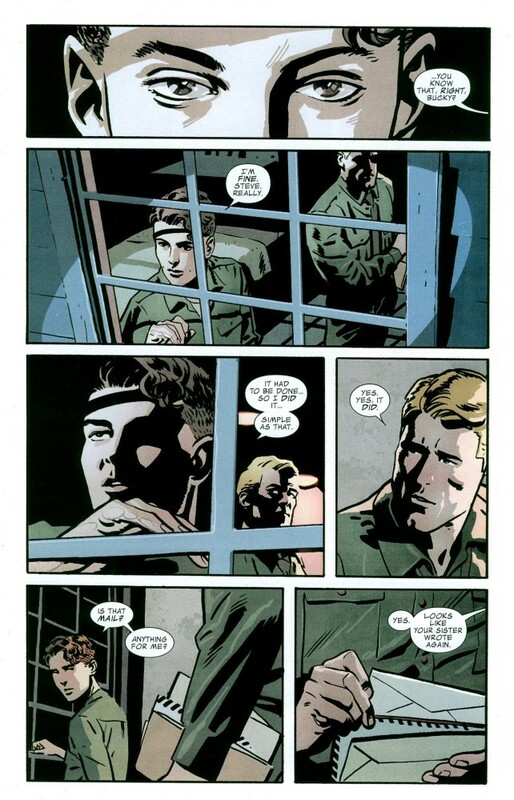 And what is the secret that connects the Cap and Bucky series to Cap’s modern day stories? 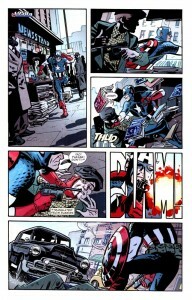 From co-writers Ed Brubaker and Marc Andreyko with artist Chris Samnee (Thor: The Mighty Avenger). This volume collects Captain America (& Bucky) issues 620-624, breaking down Bucky Barnes’ life into five chapters. Growing up hard, becoming Cap’s partner, the Invaders, a Nazi prison camp, becoming the Winter Soldier. Along the way we see Bucky grow, fight, learn and become his own man. Two writers are credited so we don’t know who did what exactly, but I’m guessing Brubaker did the big picture and Andreyko brought it home with dialogue. It’s compelling overall: a look at events we’re read many times told through Bucky’s perspective. A hard luck story of a kid on his own at far too young an age, it gives some depth and credibility to the idea of a teenager fighting alongside a superhero. Sure it was war, and really a ludicrous premise, but it’s part of the Marvel mythos and it’s dealt with. 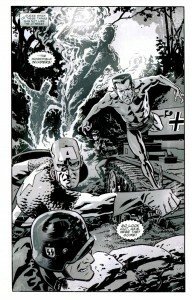 I love the Invaders and after seeing this creative team’s take I long for a mini series or can I dare to dream a maxi series? The Nazi prison camp chapter explores an emotional element of the war but it doesn’t fit with the origin, a teen romp with Toro that ends badly, and the end where Bucky ends up frozen. 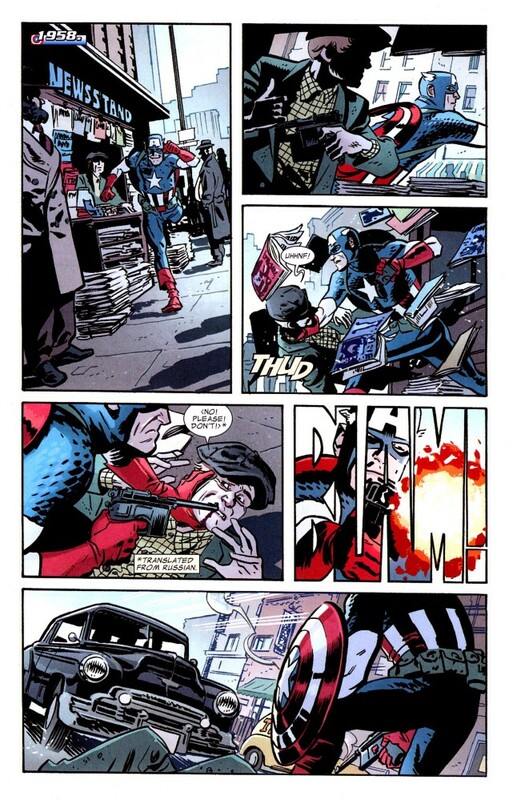 Chris Samnee has a timeless art style, much like Marcos Martin and Steve Rude, that works with any era while achieving a clean and classic look. Every page was a delight. 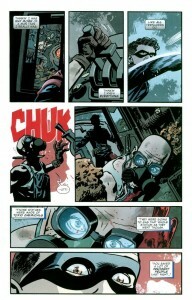 Bettie Breitweiser’s colours are muted and they work, giving everything a vintage photograph feel. We get one extra: the variant cover to issue 620. Wow. No intro, character design, afterward or notes. Captain America & Bucky: The Life Story Of Bucky Barnes is a great read. 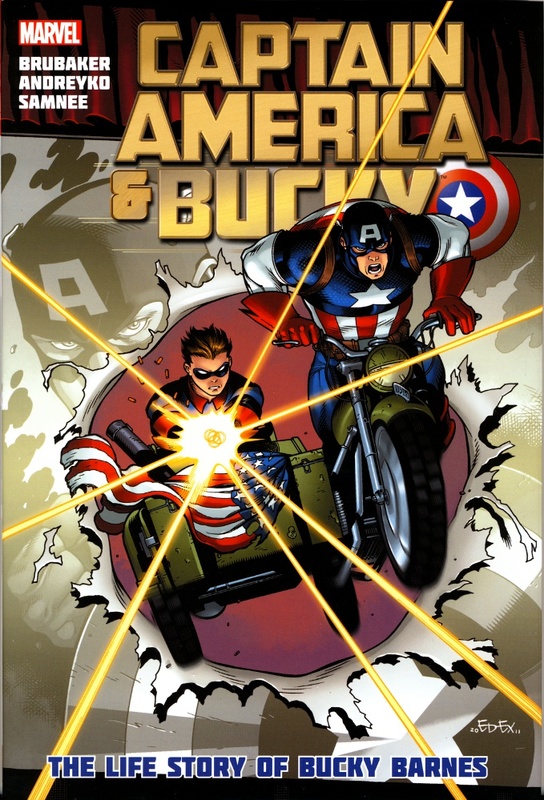 Packed with action, snappy dialogue since Bucky is the classic smart and a new look into established material.